Improve the look of your home with new windows. Insulate your home and keep your family comfortable. Improve home comfort with spray foam insulation. Just because it's cold outside doesn't mean you have to be cold inside. 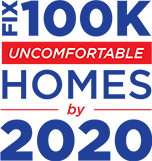 Formerly known as Lowe's Weatherization, Josh Lowe's Dr. Energy Saver has been helping make homes and businesses in the OR & Southwest WA area more comfortable and energy efficient since 2006. Our services include insulation from the crawl space to the attic, duct sealing and repair, weatherization, and window replacement. Our many years of experience mean that we know the right product to solve the issue you are facing at home. Whether you have a need for anything from upgraded insulation to new energy-efficient replacement windows, we are ready for your project! We can help you choose new, attractive windows for your home that also improve its energy-efficiency. Our complete home energy evaluation ensures you get the right solutions for your home. Increase the comfort and energy savings in your home with our attic insulation services. We can install a quality dehumidifier to reduce humidity in your basement or crawl space. Mold damages personal property and can seriously affect the health of many residents within a household -- we're here to help. "I called two companies for a bid on the job. I had seen..."
Our entire process is designed with our customers' happiness in mind. Ultimately, we want you to experience a more comfortable and affordable home with our insulation and replacement windows, but we also want to keep you at ease until our work is done. We begin with a home energy audit to identify the areas of your home that need the most attention. We'll sit down with you to create a plan to bring the most benefit to your home within your budget. Once a plan is set, our trained experts will properly install insulation and other solutions, such as replacement windows, efficiently and effectively, without making a mess in your home. Many of our insulation and air sealing offerings also double as pest prevention, helping you kill two birds with one stone. As a part of the Dr. Energy Saver network and as a BPI certified dealer, we have access to proven products and continual training to stay on the cutting edge of the energy efficiency industry. We are dedicated to fully weatherproofing your home, ensuring its comfort year round. Customers rely on us to be their advocate for achieving home energy savings, and we take pride in the service we can offer you! We also never sacrifice customer service in favor of moving on to the next job. We pay attention to the details and install your insulation or replacement windows the right way. No matter how complex your home's energy efficiency needs might be, we'll have the right solution. Schedule a free estimate or home energy audit with us today!